Criss Library will have extended hours for prep week and finals week from Sunday April 21, through Wednesday May 1. 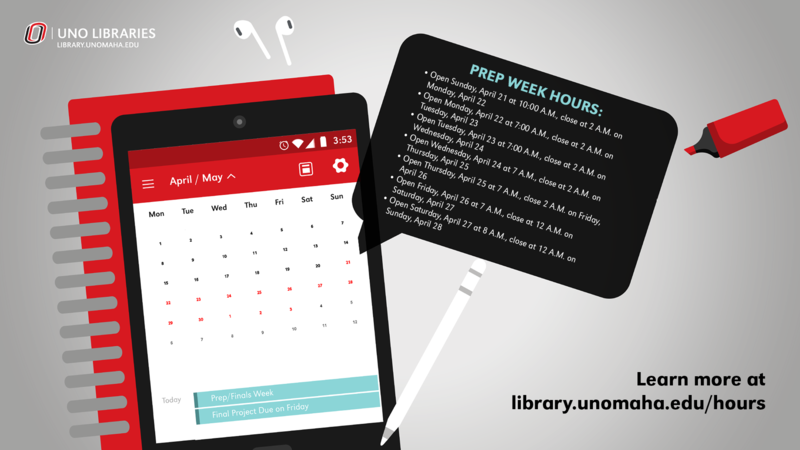 Starting Sunday, April 21, Criss Library will be open extended hours for prep week through the end of finals week, Wednesday, May 1. Due to the varying hours the library is open, please familiarize yourself with the extended hours and plan accordingly. Summer library hours begin Sunday May 5, 2019. Check our website for the regular and holiday library schedule, here. Yahad-In Unum's traveling exhibition of ‘Holocaust by Bullets,’ will be on display in Criss Library, January through March 2019. For more information about including events and announcements in the Criss Library News Center, email us at unocrisslibrary@unomaha.edu. Unless otherwise clearly stated, any views or opinions expressed as part of events, exhibitors, or presenters in the UNO Libraries (Dr. C.C. 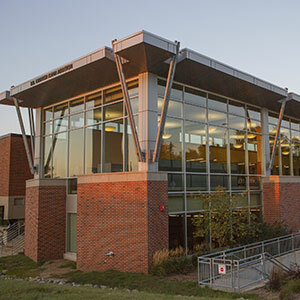 and Mabel L. Criss Library and the KANEKO-UNO Library) should not be viewed as endorsements by the University of Nebraska at Omaha (UNO) and do not reflect the official position of UNO or the University of Nebraska system.